The Akita is a very loyal breed of dog. It is extremely intelligent, but sometimes this causes it to get bored easy and become somewhat destructive. The Akita is highly independent and will show signs of stubbornness at times. This breed of dog has an aggressive background and will protect its family at all costs. It comes off as very shy and reserved around strangers and tends to be quite aggressive with other dogs. However, although the Akita is bold and stubborn, it makes an exceptional companion if matched with the right people. The Akita is a very active dog and needs ample amounts of exercise, both physical and mental. It needs to have the freedom to run around outside in the fresh air as often as possible. It always enjoys going for long walks on a leash. As an extremely intelligent breed of dog, the Akita needs plenty of exercise and training to keep it content and continually challenging itself. Otherwise, it would get bored. While the Akita can easily survive living outdoors in cool climates, it is just as satisfied spending most of its time inside with its family. Even though the Akita enjoys ample amounts of exercise, it is a very behaved house dog. Its coat needs to be brushed as least once a week, in order to remove dead hair and lessen shedding. The Akita has a life span of ten to twelve years. Some of the major health concerns associated with the Akita are: CHD and PRA. Some of the more minor health concerns are: elbow Dysplasia, pemphigus, sebaceous adenitis, gastric torsion, cruciate ligament rupture, osteosarcoma, lymph sarcoma, and hypothyroidism. Some health problems that are only occasionally seen in the Akita breed are: patellar luxation, VKH like syndrome, entropion, epilepsy, cataract, polyneuropathy, renal cortical hypoplasia, and microphthalmia. Some of the suggested tests to use on the Akita breed in order to help prevent these health concerns are: hip, elbow, eye, and thyroid tests. It is also important to watch that the Akita does not come in contact with onions. Onions have been said to cause changes in the breed’s red blood cells. The Akita is one of the most notorious and respected dogs of the Japanese breeds. While the similarities are linked to dogs of ancient Japanese tombs, the modern day Akita has developed from the nineteenth century effort to bring back seven native Japanese dog breeds. 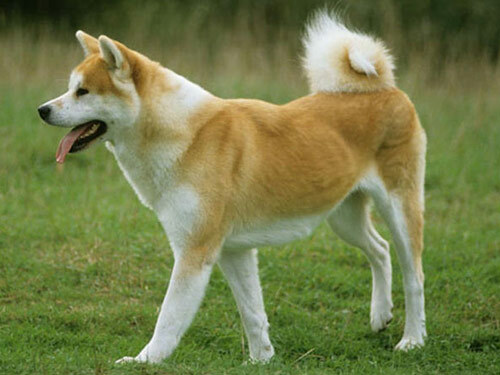 The Akita is the biggest of these breeds and was restored using many breeds and mixed breeds used for fighting. While Japanese breeders over time rejected many traits descended from the fighting ancestors, American breeders welcomed those qualities. The first Akita arrived in America in 1937. When Helen Keller returned from Japan, she brought one of the dogs with her. After World War II, servicemen began bringing them back as well. The Akita slowly grew in popularity, eventually receiving AKC recognition in 1972. Since then, this breed has been gradually gaining more and more admirers. In Japan, the Akita is now used as a loyal police guard dog.